Something bloody has happened in this chamber, perhaps at the hands of the red-eyed figure standing in the doorway. In your story, is this figure a butcher, a savior, or neither? 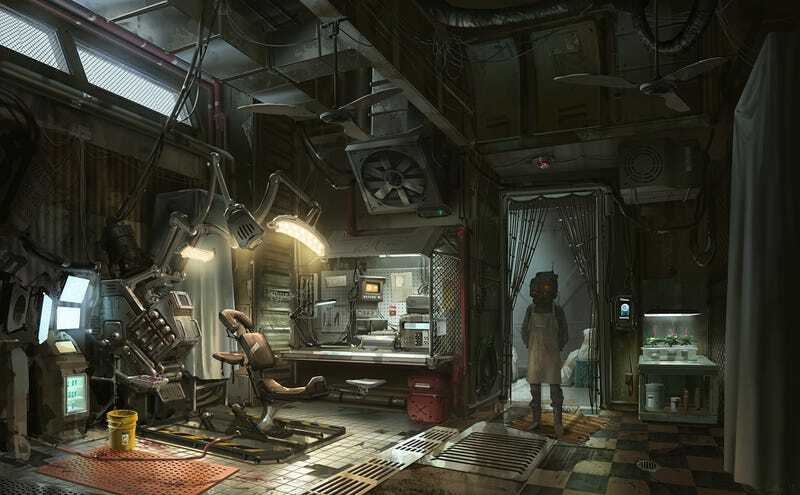 Black Market Parlor is by the concept artist Hethe Srodawa. As always, we invite you to come up with your own story inspired by this image and post it in the comments.